On the very first day of the invasion of Sicily, three months into his combat career, Allan Knepper flew his P-38 Lightning fighter in a squadron sent out to sweep the island and interdict German ground targets. Retreating German infantry unexpectedly pounded the American flyers. Knepper was one of two shot down; he was never found. Knepper’s story is the story-in-microcosm of thousands of American fighter pilots in World War II. Richardson recounts Knepper’s experiences from training through combat and uses them to discuss the aircraft, tactics and doctrine, training, base life, and aerial combat of the war. 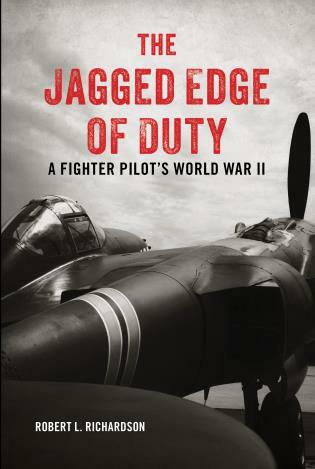 This is the intimate account of one pilot at war, but also the anatomy of the fighter-pilot experience in World War II. Robert Richardson lives in Spokane, Washington. This is his first book.